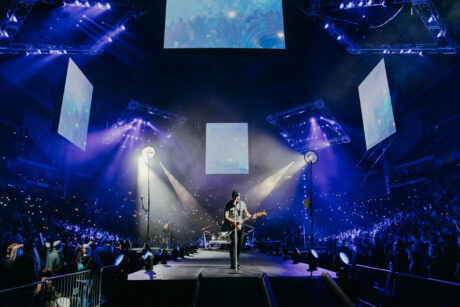 NASHVILLE, TENNESSEE – The Winter Jam Tour 360, Christian music’s largest annual tour, is out on the road with a lighting package supplied by Bandit Lites. This year’s lineup features Christian music’s top artists and speakers including Newsboys United, Mandisa, Danny Gokey, Rend Collective, Ledger, Newsong, Hollyn with special guest Adam Agee and speakers Greg Stier and Zane Black. 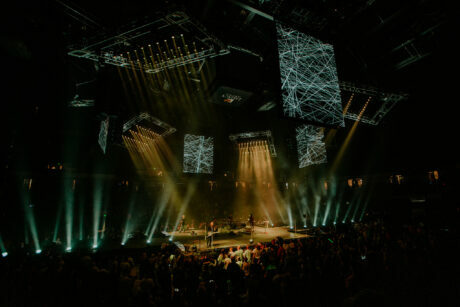 With multiple artists on the roster, Production Manager Jerry Holcomb and Lighting Designer Kurtis Wheat had to design a rig that would allow each performer distinct looks while still accounting for a lineup that ranges from a rock show, to a rap artist, followed by a speaker sharing the gospel. 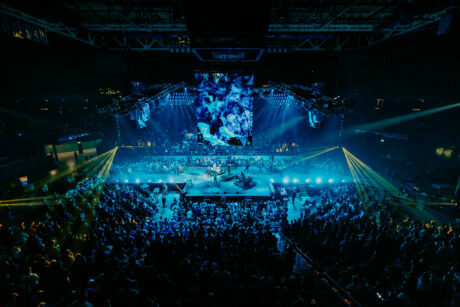 As the Winter Jam Tour 360 name implies, this is the first year the stage is completely in the round, leading to challenges of cable and lighting the artists on all sides while avoiding exasperating follow spot calls. “This year we looked at our initial design and planned where cabling needed to drop and then found a useful way to cover that up. In each corner there is a tower, and all our cabling drops cleanly behind those towers, meaning now instead of seeing this ugly mass of cabling, you have lighting tying the rig up top into the floor fixtures, and really helping to create the 360 degree feel of the show. Wheat had incredible praise for Bandit Lites and its crew, comprised of Nikki Dotson, Cody Cheatham and Jon Houle with additional support coming from Bandit’s Project Manager, Matt King.